SunSkyJet has posted new preview screenshots from the beta of the upcoming Philadelphia (KPHL) scenery for FSX. SibWings has released the Pitts Special S1/S2 for FSX. Details and purchase at the SibWings Website. Digital Combat Simulation is offering Holiday Season Specials on DCS: A-10C Warthog & DCS: Black Shark 2. IRIS Simulations has added more preview pictures from the upcoming F-15E Strike Eagle for FSX. Orbx has posted new preview screenshots from the soon to be released Jefferson County Intl. Airport (0S9) for FSX. Orbx has released Ketchikan International Airport (PAKT) for FSX. Details and purchase at the Product Page. - Custom ground imagery at 7cm per pixel! - Unbelievable level of object detail! FSDreamTeam has updated Zurich Airport (LSZH) for FSX and FS2004 to version 2.5. Details at the Product Page. - NEW Update 2.5 - Includes the new Terminal B that entered in operation at the end of 2011! - Ground terrain seamlessly integrated with Flight Simulator, in all seasonal variations. - ParkMe system with working safegates with automatic airplane recognition. - De-icing system modeled in 3D, available at 6 parking stands. - Interiors modeled for the most important buildings. The outstanding freeware Phuket International Airport (VTSP) by Prasong is being reworked for use in FSX. FSAddon has posted new work in progress screenshots from the upcoming Lockheed Hudson. Oliver Pabst has updated the beta of Airport Enhancement Services (AES) for FSX and FS2004 to version 2.20c. - Smaller Fixes reported after Fix 2 done, like the Stair now only available above 1.40m, Followme Lightcase fixed and so on. - All Pushback Trucks have now a driver. Aerosoft has posted more preview screenshots from Yekaterinburg Koltsovo Airport (USSS) for FSX and FS2004. Aerosoft Christmas Sale 25% discount on nearly all products. Valid through December 26th 2011. The first part of the freeware VFR of Lario scenery for FS2004 is now available to download at AVSIM. South West Scenery has released the freeware Plymouth City X (EGHD) scenery for FSX. Download at AVSIM. 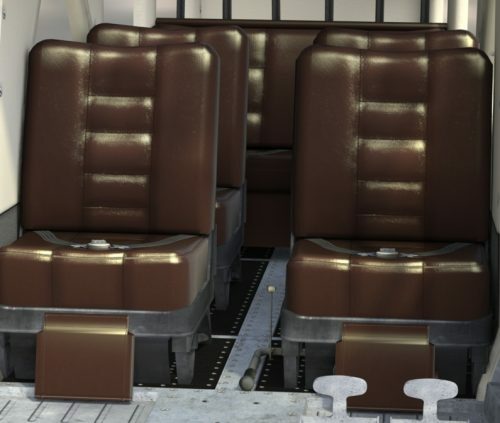 SoulMade Simulations has posted another render from the interior of the de Havilland DHC-2 Beaver for X-Plane. FS2Crew is offering 25% off on all products during the End of Year Sale. More information at the FS2Crew Website. Nemeth Designs Holiday Daily Deals - 50% off the Eurocopter EC120 B Colibri for FSX. The Airport Guys have new preview pictures from Myrtle Beach International Airport (KMYR) for FSX. Khamsin has posted more preview screenshots from the Max Holste MH.1521 Broussard for X-Plane. Orbx has posted more preview screenshots from the upcoming Ketchikan International Airport (PAKT) scenery for FSX. Flying Stations has released the Blackburn Buccaneer S.1 Pack for FSX. Now available at the Flying Stations Website. - Radar height hold - Allows hands off flying at low level over the water. - Functioning weapons system - Practice bombing runs in free flight with the computer guiding the pilot to the release point. - TACAN - Featuring multiple modes to track VOR/DMEs and AI Shipping. - Blown flaps - Emulating the real aircraft's system to reduce landing speed. - Air to air refuelling - Top up the aircraft's fuel by flying astern of suitable aircraft. - Multiple load outs - Select between, bombs, rockets, drop tanks and the Red Beard Target Marker Bomb. - Air starter unit - Provides starter air for cold starts. Paul Grubich has released version 2 of the worn and weathered cockpit textures for the A2A Boeing B-17 Flying Fortress. Hervé Sors has updated Adacalc to version 2.44. More information and download on the Adacalc Website. Earth Simulations has released Compton Abbas Airfield (EGHA) for FSX. Details and purchase at the ES Website. Reminder: The CaptainSim 24 Hour €9.99 Blowout Sale is available Today, December 22nd 2011 00:00 to 23:59 (UTC). The Aeroplane Heaven Vickers Viscount for FSX has received the first Service Pack. Download at Just Flight. The NL2000 Team has updated Netherlands 2000 for FSX to version 4.02. Now available at AVSIM and Flightsim.com. Aerosoft has released the long awaited Rockwell OV-10 Bronco for FSX. Available at Aerosoft and SimMarket. Aerosoft is offering the PZL-104 Wilga for FSX at 25% off today as part of the 2011 Christmas countdown. The freeware Sanguesa Airport (LESG) for X-Plane is now available to download at the XPFR Website. The freeware San Fransisco International Airport (KSFO) scenery for X-Plane is available to download at X-Plane.org. Nemeth Designs Holiday Daily Deals - 50% off the Eurocopter EC-135 for FSX. TropicalSim has posted the first sneak peek of Washington National Airport (KDCA) for FSX and FS2004. The Slovenia Scenery Team (SST) has released the LOD12 Slovenia terrain mesh for FSX. Purchase at SimMarket. FS simVFR Catalonia North photo scenery and terrain mesh for FSX is now availalble to purchase at SimMarket. FranceVFR Haute Normandie Photo HD for FSX is now also available to purchase at SimMarket. HiFi Technologies Active Sky 2012 for FSX is now available to purchase at SimMarket. McPhat Studios has posted another promo video of the freeware PMDG 737 NGX - American Airlines (AAL) HD Textures. Turbine Sound Studios (TSS) posted a preview video from the upcoming Boeing 737 CFM56-7B HD Sound Package. 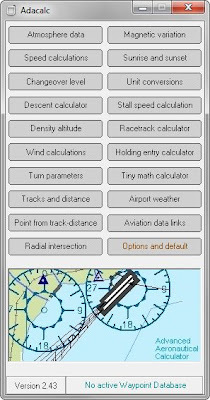 Flight1 Software has released the Cessna 162 SkyCatcher for FSX. More information at the Flight1 Product Page. Digital Combat Simulation (DCS) has updated DCS: A-10C Warthog & DCS: Black Shark 2 to version 1.1.1.1. Aerosoft has released Frankfurt Egelsbach Airport (EDFE) for FSX (FS2004 soon). Available at Aerosoft and SimMarket.